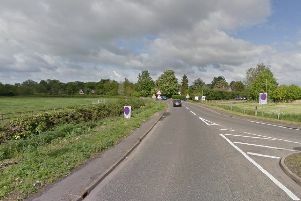 A 34-year-old man has died in hospital following a crash in Cambridgeshire on Sunday. Alessandro Zarrelli, of Ffordd Sain Ffwyst, Llanfoist, Abergavenny, was driving his blue Mini One from Royston towards Duxford on the A505 at about 8.55am on Sunday, November 18, when it was in collision with a brown Volkswagen Caddy. Mr Zarrelli was taken to Addenbrooke's Hospital but died yesterday afternoon, Wednesday November 21, as a result of his injuries. Anybody who saw the collision, or the vehicles leading up to it, is asked to contact the road policing unit on 101 quoting incident 110 of the 18 November.